"My Name Is Bill W…"
"…and I am an alcoholic." 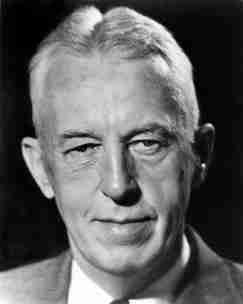 Bill Wilson co-founded Alcoholics Anonymous and developed the 12-step program that has helped millions around the world to overcome their addictions. Bill Wilson stood in the lobby of the Mayflower Hotel in Akron, Ohio. He could hear the laughter and glasses clinking from the hotel bar and felt that irresistible urge that he had felt so many times before. His mind raced and his heart pounded as he fought to resist the lure. Then he remembered that helping others was one way to help himself and he resolved to find another alcoholic that he could help. He left the hotel and after a series of frantic phone calls found another alcoholic named Dr. Robert Smith, who agreed to meet with him. A month later, Smith took his last drink. 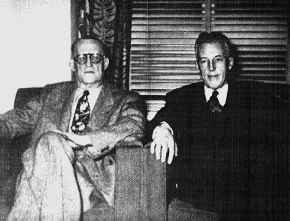 Bill W. and Bob S. became the founders of what would later become known as Alcoholics Anonymous. Bill Wilson had his first drink while in the Army during World War I. "I had found the elixir of life" he recalled, and he soon began to drink heavily. After the war, he married Lois Burnham in 1918, and enjoyed great success trading stocks on Wall Street. He lost all of his money in the stock market crash of 1929, but he continued to trade stocks and managed to earn a modest living. However, his heavy drinking continued to get worse, and it slowly took its toll. Eventually alcohol completely took over his life and by 1933, he had hit bottom. Bill and Lois were living in her parent’s home in Brooklyn. Lois was working in a department store, while Bill spent his days and nights in a near-constant alcoholic stupor. In 1934, he was visited by an old drinking buddy who had managed to stop drinking and stay sober. He shared his secret with Bill; a belief that God would help him overcome his addiction to alcohol. When Bill said he was not a member of any organized religion his buddy said, "Why don’t you choose your own conception of God?" Bill understood that "it was only a matter of being willing to believe in a power greater than myself." As Bill later recounted, "God had done for him what he could not do for himself." Bill Wilson had a spiritual awakening and his belief in a higher power and the realization that he couldn’t do it alone would help him to conquer his addiction. Determined to get better, he checked into a hospital and underwent the state-of-the-art treatment at that time for alcoholics—the barbiturate and belladonna cure, also known as "purge and puke." "While I lay in the hospital, the thought came that there were thousands of hopeless alcoholics who might be glad to have what had been so freely given me. Perhaps I could help some of them. They in turn might work with others." He then came to understand how helping others would be essential to his recovery. After his release, he managed to stay sober but returned to the hospital frequently to help other alcoholics undergoing detox. It was during this time that he faced his moment of truth at the Mayflower Hotel and began his association with Dr. Bob Smith. Wilson and Smith helped each other and then reached out to other alcoholics. Soon they began to hold meetings for recovering alcoholics so that they could support their group and welcome others who were looking for help. By the time that the group had about 100 members, Bill began to write down his philosophy as a series of principals for remaining sober. He eventually published them in a book called Alcoholics Anonymous, which also became the name of the organization that he and Dr. Smith founded. That book is now known as The Big Book. In it, Bill wrote that the key to sobriety was a change of heart. He defined 12 steps to recovery that included an admission that one is powerless over the addiction, a belief in a higher power, making restitution for the wrongs one has committed, and service to others. Bill did not want anyone to profit from their association with A.A. and he believed that one way to avoid that was for members to keep their identities a secret. 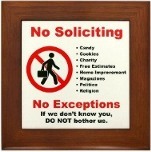 Also, A.A. members are not required to contribute and no contribution over $1,000 is accepted. He never took a salary for his work or accepted any financial gifts. As the membership of A.A. grew, he acted as their public spokesman but he never revealed his identity. Bill testified before the U.S. Senate in 1969, but he would only allow himself to be photographed from behind. He wouldn’t allow himself to be photographed at all—even from behind—for a Time magazine cover. Though Bill Wilson’s contributions to the understanding of alcoholism and recovery are legendary, he was not a saint. He was an unrepentant womanizer after A.A. became famous, because so many women were attracted to him due to his celebrity within the organization. He often trolled A.A. meetings for young women and offered them private "counseling." His wife Lois mostly ignored his infidelities. He was also blind to the ill effects that smoking had on his health until it was too late. He continued to smoke even though near the end of his life he was suffering from advanced emphysema. He was so addicted to tobacco that he would turn off the oxygen he needed to assist his breathing so that he could have a cigarette. He died in Miami in 1971. Alcoholics Anonymous has more than 2 million members in over 150 countries today. A.A.’s success in helping alcoholics caused the American Medical Association to officially recognize alcoholism as a disease instead of a failure of will power in 1956. After Bill Wilson died, his wife Lois founded Al-Anon and Alateen as support groups for spouses and children of alcoholics. The 12-step program that Bill Wilson developed has been successfully adapted to assist those suffering from many other types of addictive and self-destructive behaviors, and spawned many other recovery organizations, including; Narcotics Anonymous, Overeaters Anonymous, Sexaholics Anonymous, Gambler's Anonymous, Debtor's Anonymous, Smoker's Anonymous and Workaholics Anonymous.